This party-perfect dress has perfect detailing to have all eyes on you! The Sparkle and Shine Chiffon Designer Dress by Minuet comes in two great color choices. It is fully lined and crafted of delicate, floaty chiffon. A sweetheart neckline and lined and lightly padded bust create a flattering silhouette. Petite sequins adorn the straps as well as the empire waistband of this dress, allowing you to stand out and shine! An invisible back zipper completes this great look. The Sparkle and Shine Chiffon Designer Dress by Minuet would be perfect paired with strappy heels and a clutch for your next big event! 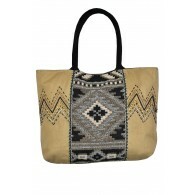 Also available in Orange Peach. Details: Fully lined. Invisible back zipper. Lined and lightly padded bust for support. 100% polyester. Lining: 95% polyester, 5% spandex. Dry clean only. Small measurements: Length from top of bust to hemline: 29”. Bust: 34”. 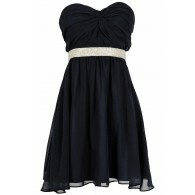 You have added Sparkle and Shine Chiffon Designer Dress by Minuet in Royal Blue into Wishlist. You have added Sparkle and Shine Chiffon Designer Dress by Minuet in Royal Blue for Stock Notification. You have set Sparkle and Shine Chiffon Designer Dress by Minuet in Royal Blue as a loved product. 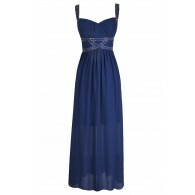 You have removed Sparkle and Shine Chiffon Designer Dress by Minuet in Royal Blue as a loved product.